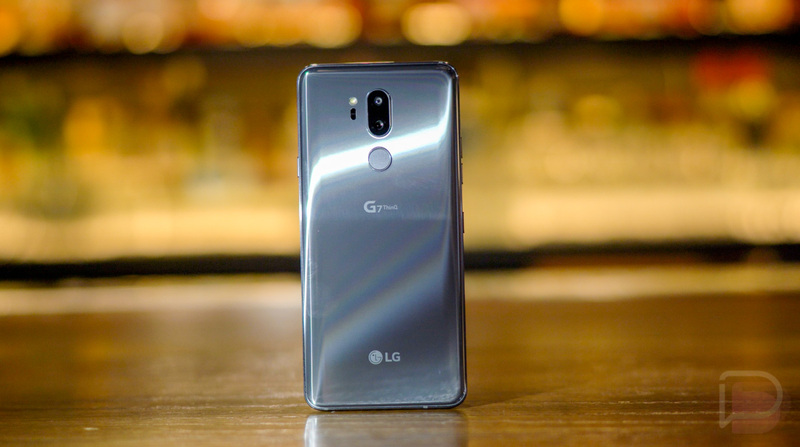 The LG G7 on Verizon is scheduled to receive its first update today since launch. The update, while still labeled as only being the February security patch (that can’t be true, right? ), does include some new features to be aware of. UPDATE: Verizon updated the support page for the update with correct info. The update will arrive as software version G710VM10e and with the July security patch. The G7 update will rollout as software version VS98816A, which doesn’t seem right. I say that because that’s the same build that the LG G6 received back in March, with the February security patch. Let’s just ignore that number and the security patch level for now, as I’m sure it was just a bad copy and paste job here from Verizon. As for what’s new, Verizon says to expect a change to the AI CAM in the phone, where you can now tap on the AI CAM button to manually select filters or shooting modes, rather than wait for it to analyze a situation. LG also changed the home screen font size for “easier readability,” added a custom setting in the music equalizer, changed the time format in the weather app, added the option to include a photo, file, or task in calendar events, and is making Google AR Stickers available. To grab the update, head into Settings>System update.